Today I did some sewing for my etsy shop! 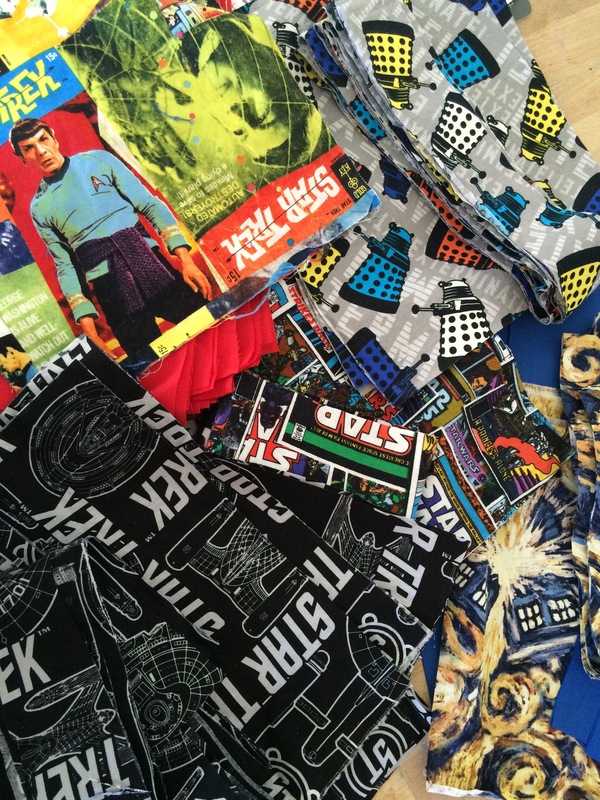 I cut up lots of geeky fabrics… And ended up with two project bags. One is for a current order, the other is to add to my stock. With all this fabric prepped, I hope to be able to add more bags to the shop soon! Once I get my assembly line going, I can be pretty productive. It’s just a matter of having the alone time, as I can’t do much sewing with the kids around. (I don’t know how other moms do it!!!!!) My shop is https://www.etsy.com/shop/MarissaMadeIt?ref=s2-header-shopname, if you’re interested! 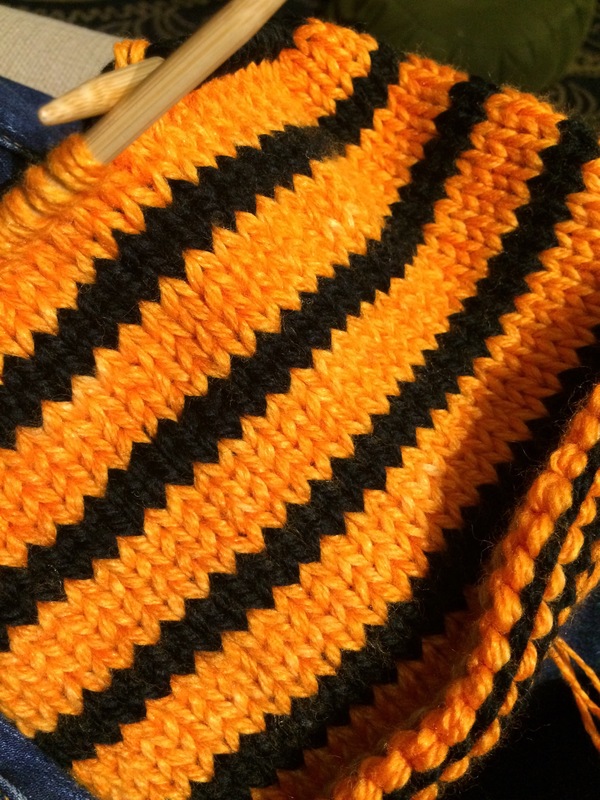 Tonight I also started a project to knit/wear? at Stitch n Pitch tomorrow evening. The Giants are playing the Brewers, and I have exactly zero sports-related items to wear. Maybe I’ll have a warm cowl by the time the game is over. Awww, lucky! No live games for us this year. I do want to go back to Stitch ‘n Pitch, but it’ll always be there. Where are your seats? The first time I went we were right by the bull pen. I was in awe watching the men warm up. Not sure where our seats are…. I haven’t been to any baseball games since 2007! Should be fun! Super cool how you have an Etsy shop. How’d you figure out pricing for products and with shipping/handling?